ES - "People are getting dumber." "People are getting dumber. So concludes a new study in the Proceedings of the National Academy of Sciences (PNAS): Using military conscription data from Norwegian males born from 1962 and 1991, the authors find that the secular increase in population intelligence observed throughout the 20th century has peaked and has now gone into reverse." Re: "People are getting dumber." and thus the tests have become harder and harder? Or Norwegians spend way to much time watching american tv-series,soap-operas. You know,those shows that tells you when to laugh? the youngest ones are the brightest.By far. seing connections and adapt to circumstances. I was born before computer age. even though I haven`t used them in 25 years. Cause I never had to. They are all stored in the cell phone. Brains must be exercized,or they go dumb by them selves. my ability to solve problems is significantly reduced. in my family,while the three older siblings have no symptoms. Nothing dumbs more or quicker than blasting with microwaves. And now everybody is born in those fields - stark insanity. If you sit near a mountain for thirty years probably you get much cleverer. If you sit near a router - everything has become very short-term - only catastrophe is certain. The mountain may help you. the router will destroy everything meaningful about you. : we can feed on and relay the goodness and cleverness we are part of . So can a fish. The important part lies in the source. Acrtic Coast, I'm curious where you're from... 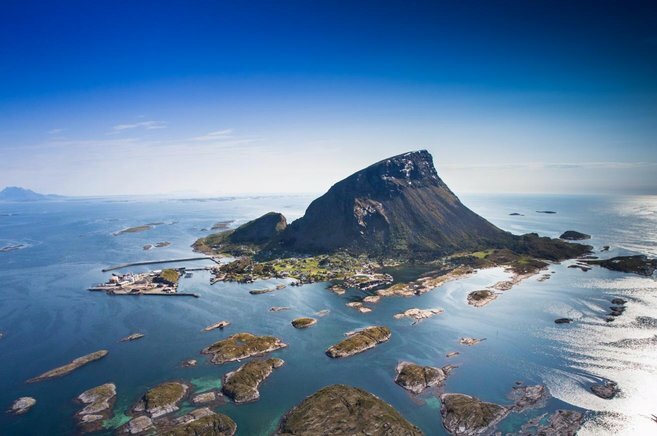 The Norwegian side of my family came from a tiny islet near Lovunden. Oh,within a four-hour drive from the EISCAT antenna. Not for another month,or so. That's right, it's just a few days near the solstice. The islet they that my ancestors came from looks a lot like the rocks in the bottom of your picture, but it's a little farther away from the main island (3-4 km). Didn't someone reply with a couple of links about "digital dementia?' One of the links didn't load for me earlier, but it sounded interesting and I was going to go back and look at it. Yes, there was a message in this thread with two links before, i opened both. we can read : " CONTENTS DELETED The author has deleted this message. " Neither a part of any message should have been deleted because then the word "updated" must be visible. Yes, someone posted some links, then decided that they wanted all evidence of them ever being on this group deleted. The deletions may not appear consistent because several different things were tried to eliminate those messages. Superlaura: Yep, it's a jungle out there.